There was a dog attack but this time it was the dog that was attacked. A Samaritan got him out of harm’s way and got him the medical help he needed. 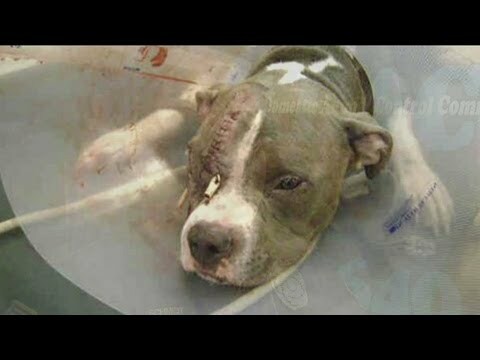 After the attack, Frank needed stitching as his face was swollen and his skin was ripped almost to the bone. The mob was armed with bricks, sticks, and rocks. A good Samaritan passing by saw the attack and pulled her car over next to him and Frank jumped right in. Frank has made a swift recovery and is now looking for a forever home.